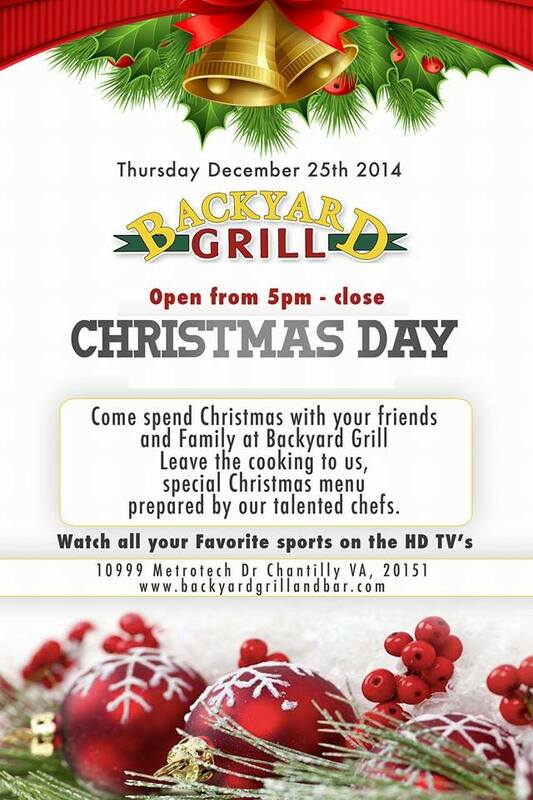 Backyard Grill Restaurant is a Chantilly restaurant offering Christmas dinner this year. Let the cooks in your family take a break and have a wonderful evening off. Enjoy a great meal without any of the cleanup or dishes.